Indian-medsrx.com was an online drugstore that stopped operating after the Europol and the US government seized its domain. 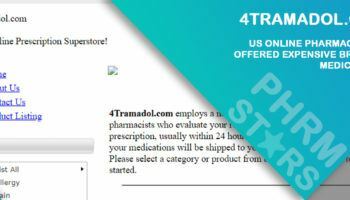 This web store was just one of the many online pharmacies being shut down for marketing counterfeit products like medicines among other medical supplies. 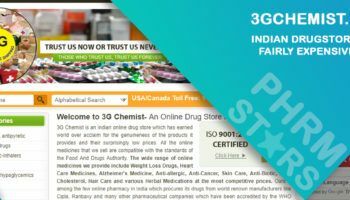 From a third-party review site, we learned that Indian-medsrx.com was an Indian online pharmacy that offered generic medicines from India. Their popular products were erectile dysfunction brands manufactured by Indian pharmaceutical companies. Aside from erectile dysfunction medicines, they also offer other generic medicines such as drugs for osteoporosis, allergies, arthritis, pain, cardiovascular problems, diabetes, hypertension, high cholesterol, weight loss pills, and hair loss treatment. According to some reviews, this e-store offered FDA approved medicines only. These are Indian FDA approved medicines produced by known Indian pharmaceutical companies. With the limited information we gathered for this e-store, we are unable to identify the method of payments accepted as well as the shipping methods offered. We are unable to find their policies and terms and conditions when it comes to returning purchased medicines as well as in case there are issues with the delivery (damaged products or missing products). Why Is the US Government Cracking Online Pharmacies? The US government has teamed up with other forces outside the US in order to make it easier for them to track down and close down illegal online pharmacies (or deemed as illegal online pharmacies). With the help of Europol and other intelligence agencies, the Homeland Security established the Operation In Our Sites-Project TransAtlantic VIII. This group now tracks web stores that offer counterfeit products such as luxury brands, electronics, pharmaceuticals, and sportswear. According to the US government, the Operation In Our Sites-Project TransAtlantic VIII was not the first project they had that aim to put stop to these illegal activities online. As the name suggests, this is their 8th campaign. This is their way of ensuring that all products offered online are safe. Online pharmacy owners have their own theory though. According to some, this kind of operation is a way for big pharmaceutical companies to put a stop to the soaring online pharmacy business. 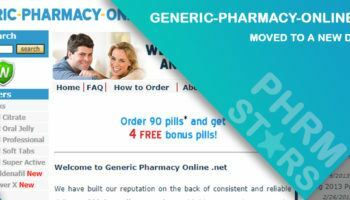 With the increasing number of online pharmacies offering cheap generic medicines that a common individual has no access to, expensive medications are no longer making a sale. Such operations are now deemed as a way to put a halt to the popularity of online pharmacies and keep the control in the hands of large pharmaceutical companies. Is it true that Indian-medsrx.com was selling counterfeit medicines hence they were seized by the US government and the Europol operation? We checked for some customer reviews to further test this claim. 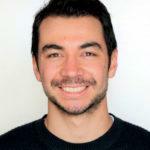 A customer review that was shared by Usalvato in 2015 revealed a possibility that Indian-medsrx.com was a scam website. According to this customer, he paid €290 (approximately $240) for a pack of 180 pills of medicines that he never mentioned the name. He said he did not receive a single pill. His recommendation was to totally avoid this e-store and that he felt bad he trusted them in the first place. Aside from Usalvato, we also found more customer reviews for this e-store. Some of these customers were happy and some were not. The first one was from 2013 and it was a 5-star rating. The customer named Tommy said he had a good experience and will surely use this e-store again. The said good review was followed by negative reviews from Russ and Md11pilot who said that Indian-medsrx.com was a scam. In 2012, Mark said that he received his order without any issues or delays while a 2011 review by Stanly78 was about the website being down. The last review we picked was from 2010 and it was a 5-star review from 100635. The reviewer said that he had been a loyal customer and that he believes that Indian-medsrx.com was the best online pharmacy in India. With all the reviews that Indian-medsrx.com received from 2010 to 2015, we can say that there is a risk of using this website. They had some good reviews but their negative ones are too scary. Two of their customers in 2012 said that this website was a scam and one in 2015 repeated it. Perhaps the US government is correct in shutting this down, not because they were selling counterfeit medicines but because they were robbing their customers. It was unclear as to when this e-store started operating. After checking our resources, we are unable to find new reviews for Indian-medsrx.com. As Indian-medsrx.com had been closed by the US government, the majority of the information about this e-store is inaccessible. We are unable to obtain any coupon codes that they might have used in the past as well as promotions or special offers. The only offers associated with this vendor was free sample tablets with your order. Indian-medsrx.com was an Indian online pharmacy that offers generic medications from different Indian pharmaceutical companies. They claim to produce safe and effective generic drugs which they offer at a very low price. 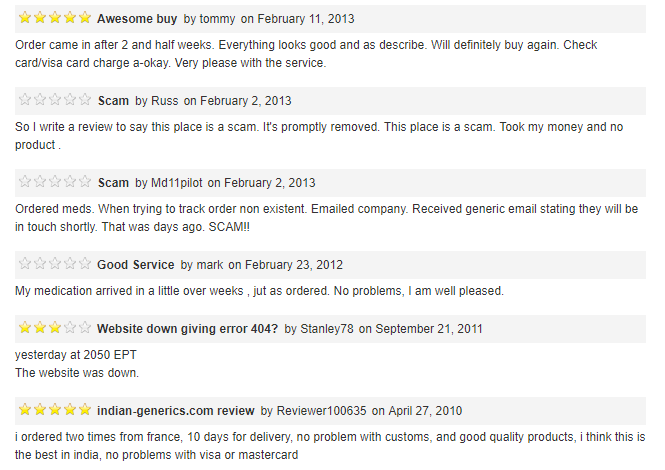 This e-store had mixed reviews yet their most prominent reviews were about their scamming operation. To date, this web store is still not as active as the US government’s seize warning can still be seen if you will visit their website.